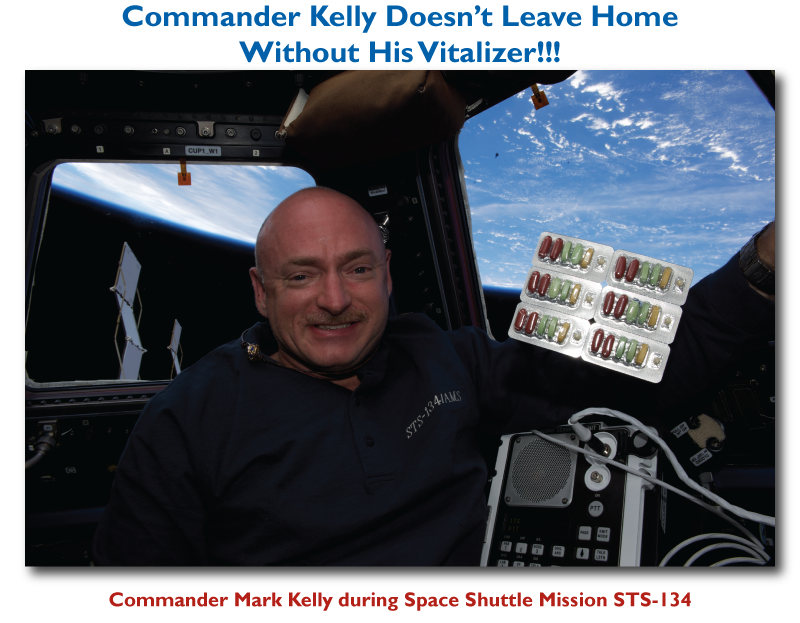 Try Vitalizer™ and if you don't feel better you get your money back. You Need Adobe Flash to view this video. 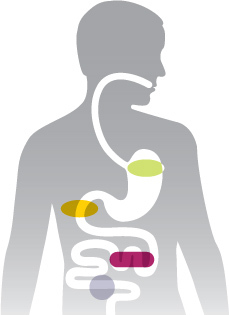 Vitalizer™ is the most advanced multinutrient supplement pack in the marketplace today, and it features a patent-pending delivery system designed to enhance absorption of key nutrients. Vitalizer is more than just a single multivitamin—with 80 bio-optimized nutrients clinically proven to create a foundation for a longer, healthier life, it's the only comprehensive multinutrient supplement pack you need. There's a Vitalizer that's right for everyone. 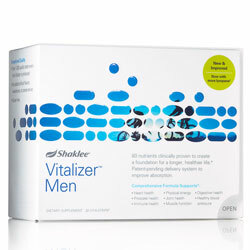 Backed by 55 years of nutrition science, a first-of-its-kind Landmark Study, 12 clinical trials, and with formulas that target the specific health needs of men, women, and active adults, Shaklee Vitalizer is the first step toward an optimal nutritional foundation. 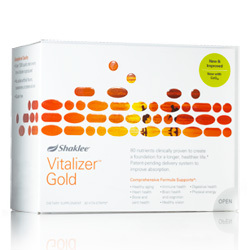 Vitalizer™ is based on 12 clinical studies and a first-of-its-kind Landmark Study. In this groundbreaking study, we collaborated with researchers from the UC Berkeley School of Public Health to evaluate long-term Shaklee supplement users. The study showed the overall health of Shaklee users was markedly better than nonsupplement users—based, in part, on the four key biomarkers above. † Percentages reflect Shaklee supplement users compared with nonsupplement users. Data for nonusers was obtained from NHANES 2001–2002 and NHANES III 1988–1994. Shaklee Vitalizer™ is the only multinutrient supplement pack in the marketplace with S.M.A.R.T.™, a patent-pending, cutting-edge delivery system designed to improve absorption of key nutrients, ensuring the right nutrients get to the right place at the right time. How Do Your Vitamins Stack Up? 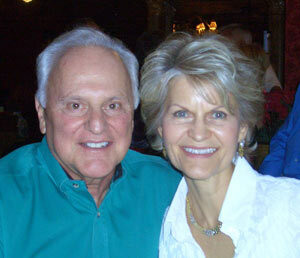 Our family takes Vitalizer every day and feels better and has more energy! 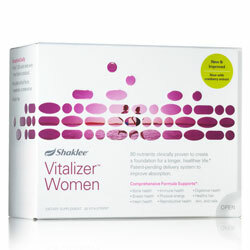 It is just amazing how much better we feel with Vitalizer!!! If you have any questions please feel free to contact us by phone or fill out the form below and we'll be glad to email or call you. Receive a FREE membership (a savings of $19.95) with your purchase of any Vitalizer. In addition, the free membership saves you 15% on all product orders. When you sign up for AutoShip you will receive an additional 10% discount on Vitalizer.